Check out this 4 bedroom student flat on Pier Street, Plymouth! Did you come to Plymouth Uni to be near the sea? Well, with Pier Street you couldn't be any closer! Located 2 minutes from Plymouth hoe, it really is the perfect location for sea lovers. This large flat has 4 bedrooms which all contain drawers, wardrobe, bedside table, desk and a double bed. This maisonette has a real homely feel and is perfect for a group of 4 close friends looking to live in a beautiful location. 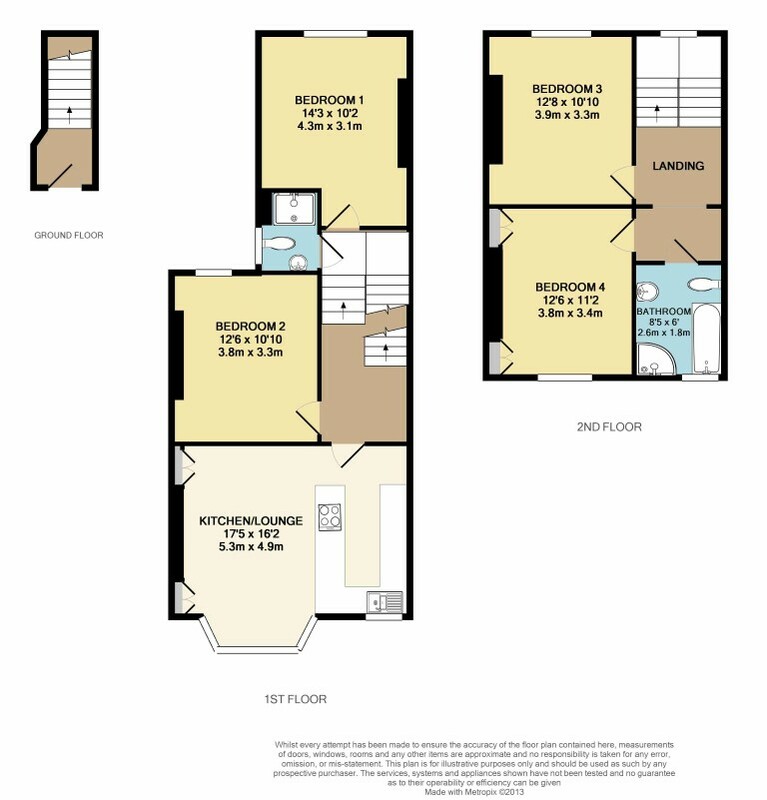 With a large open plan, kitchen/lounge/diner, it really is ideal for having friends over. Full of character, this flat bursts with features such as original fire places and high ceilings. A really bright flat that makes the best of it’s stunning location. Don’t fancy walking around Plymouth? Permit parking is available with this property!